Denis Villeneuve continues to assemble a roster of A-list performers to his upcoming remake of Dune. Via The Hollywood Reporter, the director has tapped French actress Charlotte Rampling as the latest addition to the film’s cast. Rampling will play the Reverend Mother Gaius Helen Mohiam, a vital member of Emperor Shaddam IV’s inner circle. In Frank Herbert’s original Dune novel, Mohiam is a member of the Bene Gesserit, an ancient sisterhood whose initiates train for years in order to gain supernatural abilities. However, abilities are partially achieved by using melange. Often referred to as “the spice,” melange is a highly addictive drug and the most valuable substance in the universe. The Bene Gesserit’s purpose is to amass enough power and influence throughout the cosmos to guide humanity along a path of its own making. Those who acquire the full spectrum of powers are granted the title of Reverend Mother. Beyond her high rank in the sisterhood, Mohiam also serves as the Emperor’s Truthsayer. In other words, she possesses an uncanny ability to detect if someone is lying. Siân Phillips played Mohiam in David Lynch’s Dune adaptation in 1984. Zuzana Geislerová took over the role in Syfy’s 2000 miniseries and its 2003 sequel. 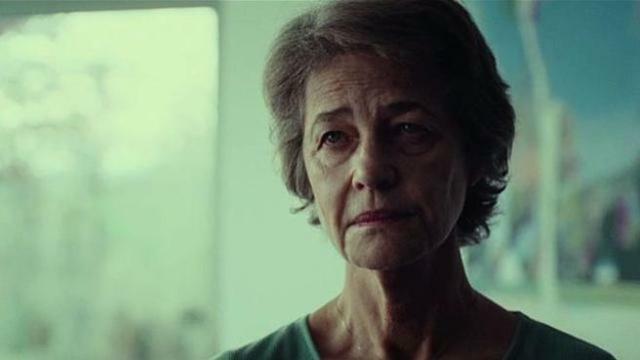 Rampling earned an Oscar nomination for Best Actress for her role in 2016’s 45 Years. She most recently appeared in last year’s Red Sparrow, where she starred opposite Jennifer Lawrence. Additionally, she had recurring roles on Dexter, Broadchurch, and London Spy. Her work on the latter series earned her a Golden Globe nomination for Best Actress in a Limited Series or Movie in 2017. What are your thoughts on Charlotte Rampling joining Legendary’s Dune reboot as Mother Mohiam? Let us know in the comment section below!